The Porsche 356 was first introduced onto the public market on June 8th 1948, and was the first actual official Porsche model introduced to the market. The Porsche 356 was a four-cylinder, air-cooled, rear-engine, rear-wheel-drive car utilizing unitized pan and body construction, and remarkably, even some 60 years later, 50% of the original Porsche 356 models still exist, meaning that this classic design truly has withstood the test of time. The Porsche 356 was also unique in that it was the only Porsche model that had its engine mounted in the front of the rear axle, all other models subsequently manufactured had the engine in the rear. The Porsche 356 was also hand crafted, more than just advertising hyperbole, the first 356 was produced by beating the aluminium body beaten and shaped by hand over a wooden buckle, and the Porsche 356 internal components were also made by hand as well. Originally, the Porsche 356 models were manufactured using aluminium, but the production methods quickly changed to steel-bodied cars instead, as it was felt to be safer and more durable. In fact, only 49 of the original Porsche 356s were made in aluminium. Originally the Porsche 356 was disproportionately found in Austria and Germany, but as the increasing popularity and reputation of the car soon became apparent, new European markets were soon won over and the car enjoyed a phenomenal success throughout the whole of Europe. Another strong and very definite testimony to the success of the design of the Porsche 356 model is that the models production soon came to an end in 1965, although by this time 81,000 models of the Porsche 356 had been produced. In 1951, the company offered a choice of three engines for each car sold, whilst they were all air cooled the differed in terms of capacity and volume, and the respective figures were ,100cc, the 1,300cc, and the 1,500cc. In 1953 the company had to offer more than just slightly more powerful engines to ensure their market position, as they wanted to break into and maintain a stable position in the US markets. In order to achieve this goal, Porsche designed and introduced the Porsche 356 Speedster in 1954, and the Speedster soon proved to be an instant hit in the US, due to such attractive features such as a low windshield and minimal folding top. However, the 356 Speedster model soon saw its sale figures beginning to level off somewhere around 1957, and so the company, wishing to maintain interest in the product line, and wanting to capitalise on the previous success of the Porsche 356 Speedster, introduced a very similar model: the Convertible D model. The Convertible D model removed and remedied some the flaws and drawbacks of the original 356 Speedster design, with more comfortable seats and a more durable, as well as a more practical windshield. Such measures were largely redundant however, as by the 1960’s there was a major disinterest in the top down motoring brands, and consumers were looking for something different altogether. The Porsche 356 has also enjoyed a great deal of success and enjoyed a strong position in racing, and to best capitalise on this, during the 1960’s, the company in a joint collaboration with Abarth produced a new model of Porsche, the Porsche 356B Carrera GTL Abarth coupé, specifically for racing. 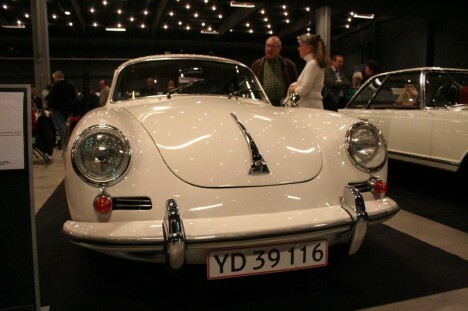 Porsche 356s are also very lucrative today in auctions and with car fans alilke, and average sale price of a 356 model at such events starts at $100,000.